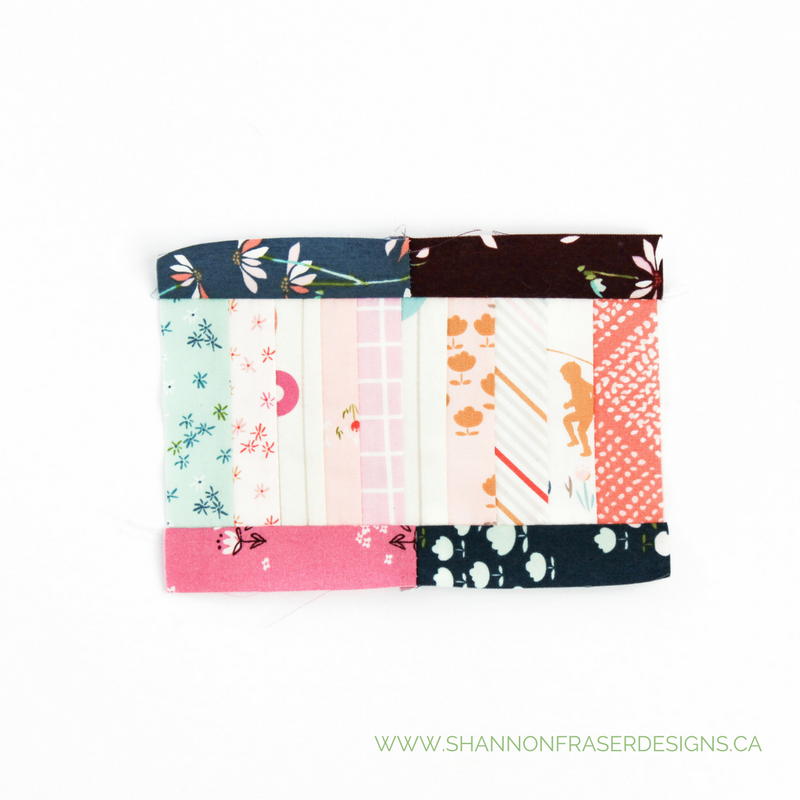 Ever need to break free and just have a fun sewing session? Well, this is exactly what my little playground pin cushion was all about for me! 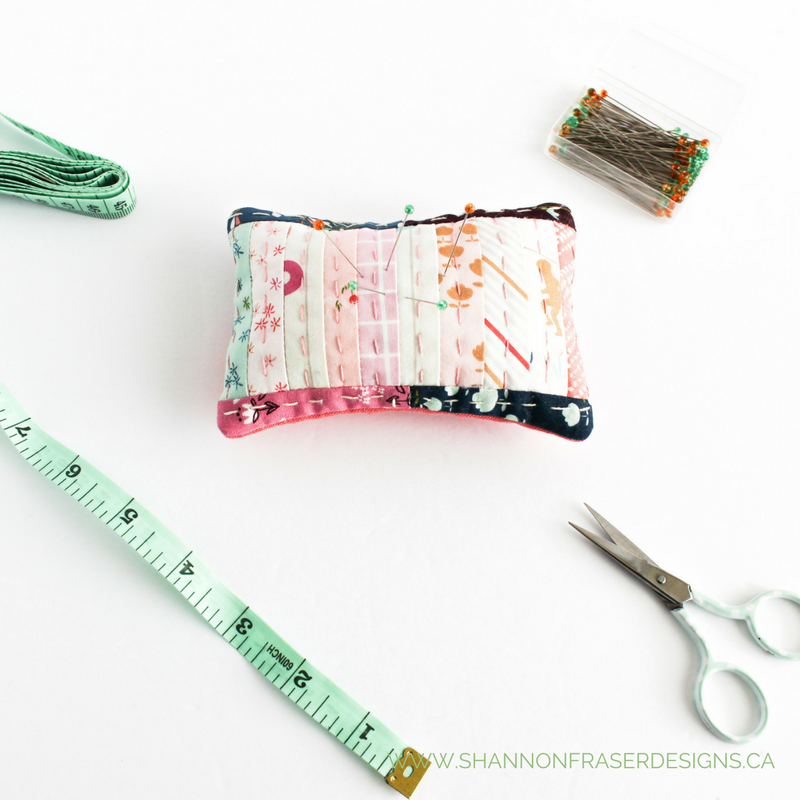 A fun, no hassle, give things a trim and just go with my gut kind of a sewing session. It all started back in the fall of 2016 when I designed my Playtime quilt. 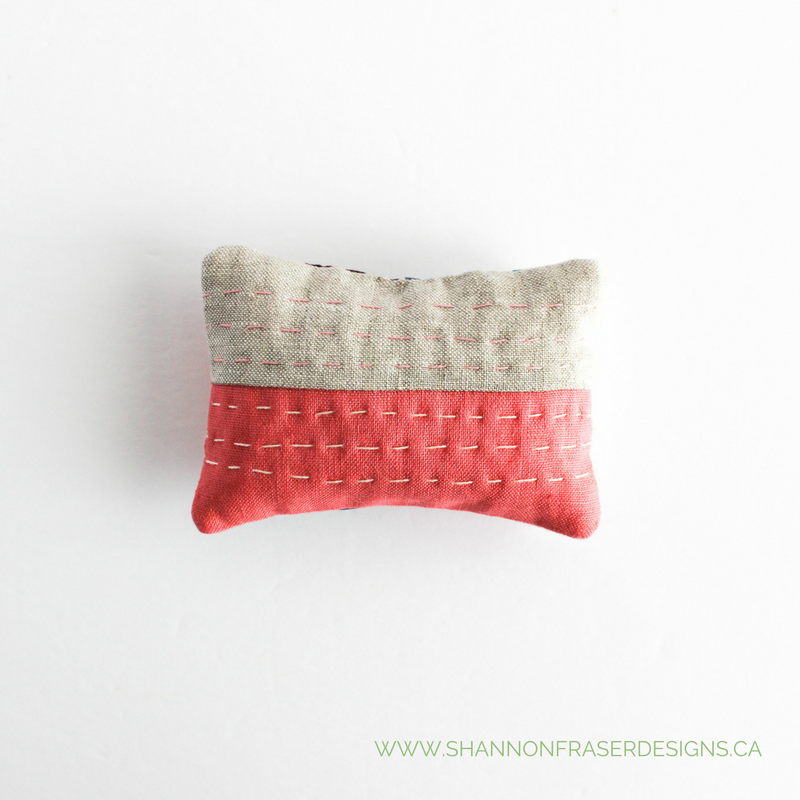 I had some little Playground fabric scraps left over that just kept calling my name. They were so cute and so irresistible I just had to stick them up. There was absolutely no plan. 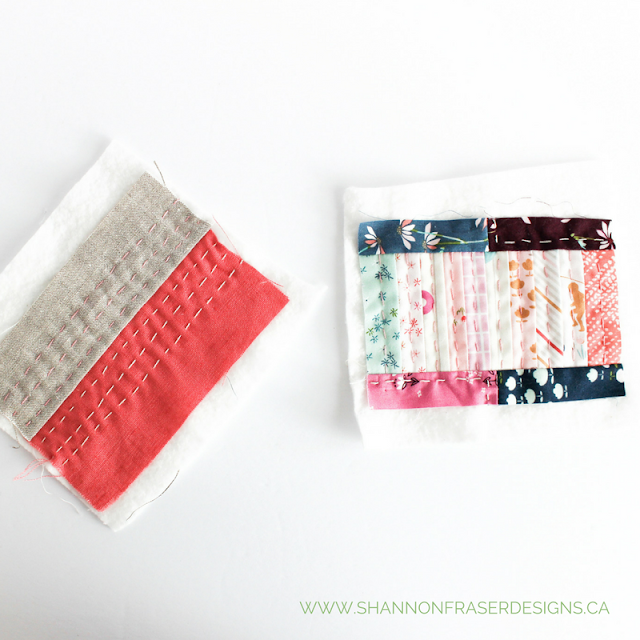 I just grabbed my little scraps and started sewing them in pairs. Then I sewed the pairs together. I thought they needed a little frame, and so I added the top and bottom strips. It was simple. It was carefree. And it made me ridiculously happy! I couldn’t fathom how I was going to use her up. Would I create more just like her? Or add her into some sort of larger scrappy quilt? Or even use her as a quilt label? Gah - the possibilities! And then, last week in the midst of lots of pattern testing, I just needed some fun sewing. I needed to break out of all the quilting math and precise instructions and just let loose – quilting style. The little patchwork caught my eye and had me wanting to create a project that would just focus on her simplicity; on the sheer joy that little block was giving me. That’s how this little pin cushion got started! I decided to add some texture and detail with little big stitch hand quilting detail using 12wt Aurifil thread in the colour Pale Pink #2410. On the back side, I stitched together some linen scraps and added some more big stitch hand quilting details there too, using 12wt Aurifil thread in the colour Pale Pink #2410 on the beige linen and DMC pearl cotton thread #8 in the colour Ecru on the coral linen. From there, it was just a matter of stitching the front and back together, leaving a little opening for the filling. I finally got to use some of the ground walnut shells I bought wayyy back in early 2016! 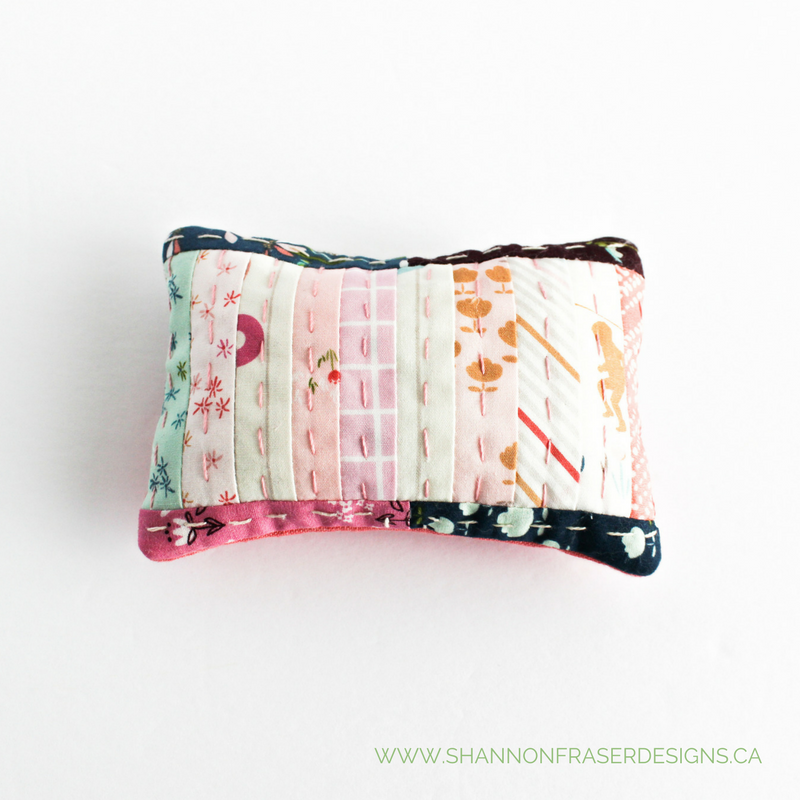 Plus I added some small cotton batting scraps to give her a soft pillowy feel. Not sure if that is even appropriate or whether it will dull my needles, but it seemed more in line with a scrappy project than pulling out some fresh poly fill. Ever tried that yourself? Let me know if there is a reason it shouldn’t be done. 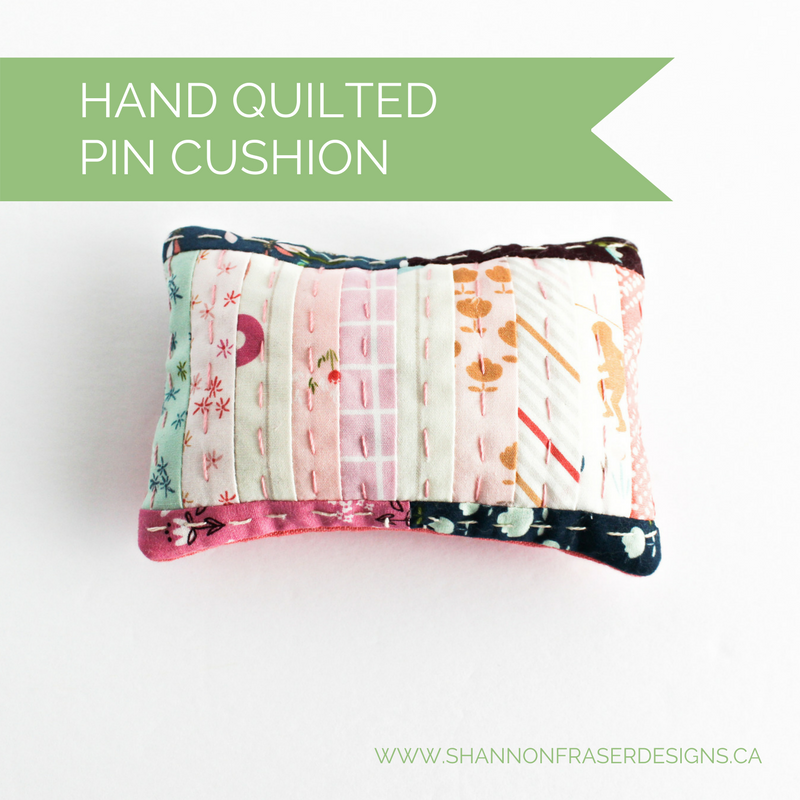 I really don’t need this pin cushion, but it’s currently sitting on my sewing table bringing me immense joy! What can I say, it’s yet another example of how it’s the little things that mean the most. 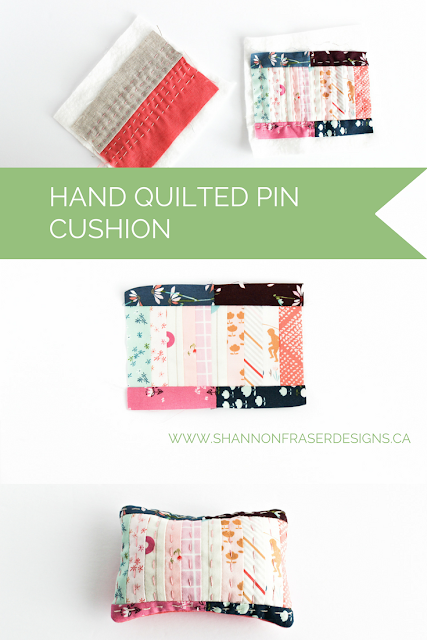 All in all, for me, the moral of the story is that sometimes your creative soul just need a fun, impromptu sewing session to let your creativity shine through. I would love to hear about an unplanned project that has brought you tremendous joy and reminded you of the importance of just having fun!